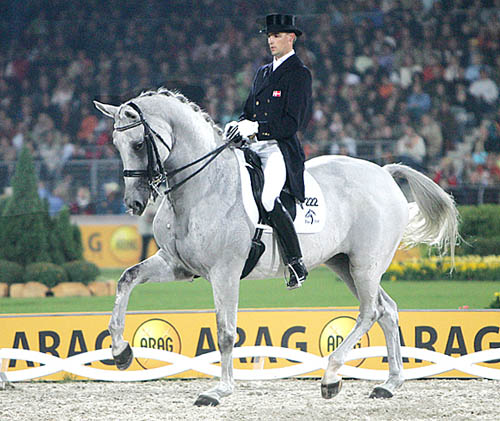 It was just a normal day in the world of horse dressage, when world-famous horse, Blue Hors Matine and his owner Andreas Helgstrand made their way to the center of the arena to begin their routine. Blue and Andreas have been practicing their Freestyle performance for months and on the day of the finals, they certainly delivered! The commentators mention that they are supposed to show something dramatic and have us on the edge of our seats! The horse’s ability to memorize this dance and do it so well is amazing! We’ve never seen anything like it!! They continue their performance with Lionel Richie’s “Hello” as Matine trots, turns, gallops, and dances, all on beat! He even shakes his tail to the music! Matine and Andreas end the performance with a rockin’ reprise of “Lady Marmalade” and a standing ovation from the crowd! With comments like “sensational” and “absolutely brilliant” from the commentators, there’s no surprise that Matine and Andreas won First Place.